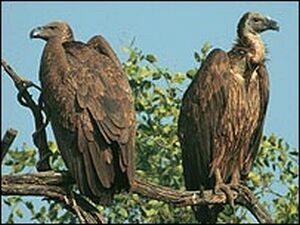 Vultures are one-step up the food chain, and hence considered a vital habitat in the ecosystem. But, the Indian vultures are dying. An anti-inflammatory drug used in cattle, which is responsible for the vultures’ death. The drug is poisoning them. Vultures play a vital role in keeping the environment from fetid poisonous air, along with keeping the disease-spreading feral dogs and vermin from spreading infections. Decomposed animal carcasses attract these animals and it is the vulture that strips animal carcasses down, not allowing these to rot. So, to save these birds from disappearance from the country, India banned the drug ‘diclofenac’ from using for cattles. Over 15 years, the widespread use of this drug has plummeted the number of South Asia’s Oriental white-backed, long-billed and slender-billed vultures by more than 97 percent. This drug causes fatal liver damage in vultures. This ban is exceptionally good news and the crucial step we have all been looking for… The decline of vultures has been quicker than any other wild bird including the dodo — and we know what happened to them. ← Is Bush's 'More Nuclear Power' agenda a real solution to global warming?